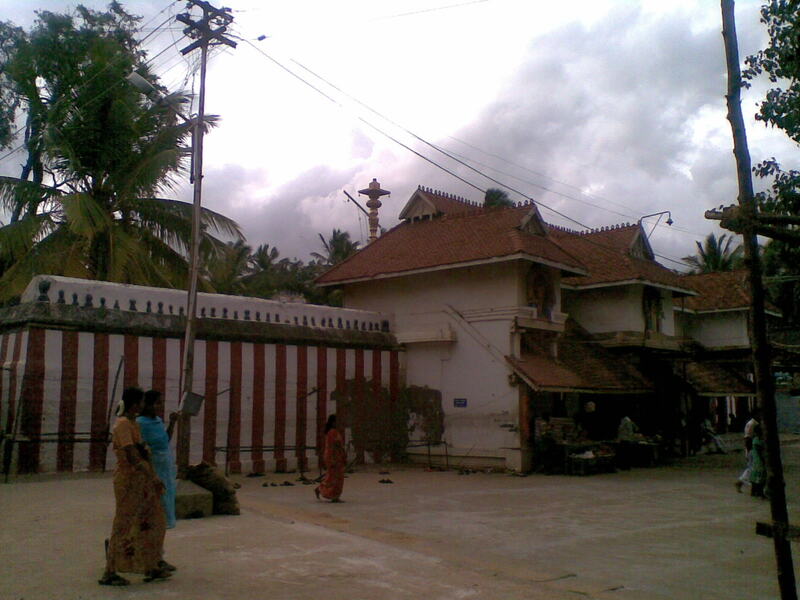 My Spiritual Chord: NAGARAJA TEMPLE - NAGERCOIL - A GREAT PLACE TO WORSHIP FOR JAINS & HINDUS. NAGARAJA TEMPLE - NAGERCOIL - A GREAT PLACE TO WORSHIP FOR JAINS & HINDUS. Worship of Serpents had been there across all parts of the world since ancient times. Snakes had been worshiped by Hindus, Buddhist, Jains for ages. Even in ancient Egypt, Mesopotamia, Greece, Rome, the worship of Snake had been in vogue in ancient period. The Egyptian king had the symbol of cobra’s hood in his crown, even their Gods and Goddesses. (eg. Osiris). There are similar instances from Babylon and Mesopotamia. Greece worshiped snakes as god for protection. They believed that the slain soldiers will be reborn as snakes. Even its believed that Athens was guarded by a snake in 5th century BC. Its also their national symbol. In Ancient Rome, people believed that while felling a tree, if a snake is killed, its considered as bad omen, and God also moves out of that place. Australians and the Mayans also worshiped Snakes. Excavations in Mexico have lots of pots and utensils with Snakes symbol embossed on them. In Africa Pythons are being worshiped even today and they worship it as God for Knowledge. In India worship of serpents is there from pre historic period. In U.P, Naga Panchami is observed even now. In Punjab, people draw pictures of Snakes on the wall and worship. In Bihar, ladies take fast for 3 days and worship Serpent God. In W.Bengal, Manasa Devi is considered as the head of all Serpents. In a place called Subramanya in Karnataka, Snake is the worship deity. In Andhra in Laepakshi, there is a 6 feet high snake idol that’s worshiped. In Kerala, worship of Cobra is of paramount importance. There are close to 16,000 temples ( Sarpakkaavu) in Kerala, across all villages. 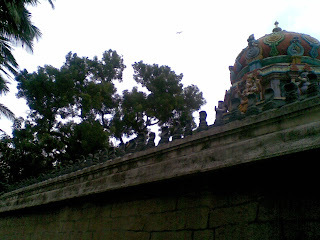 Prominent among them are Manaarshaala, Vettikaadu, Paambummekaatu mana. In Manaarshaala, even today, a lady remains as Spinster , through out her life, and does daily puja for this deity. 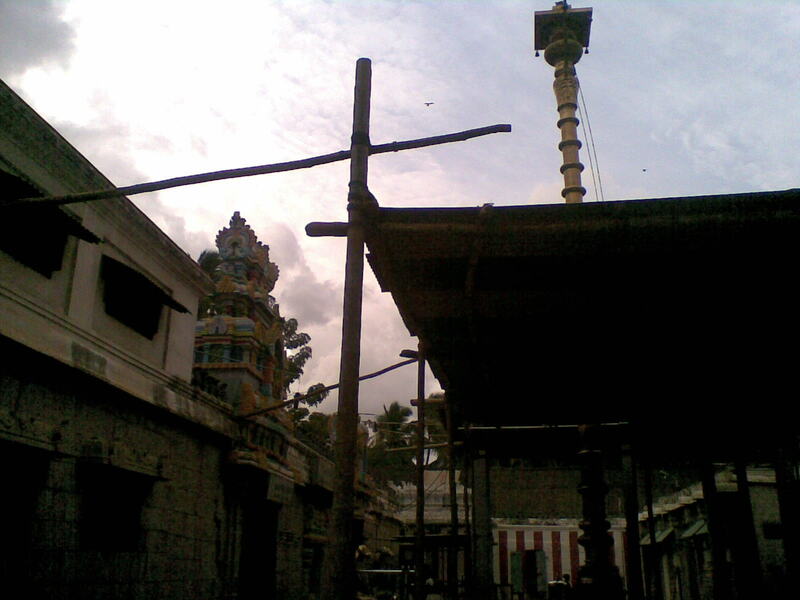 In Tamilnadu, in Thiruverkaadu, Devi is believed to have appeared initially as Cobra. In Thiruchengode, there is a 60 feet long cobra statue for worship. In Nagerkoil, we have a temple dedicated exclusively for Nagaraja. The name of this town is named after this temple only. If we look at Valmiki Ramayan ( episode 67, sloka 46-49), its mentioned that Nagas lived in Mahendragiri mountain area ( 20kms from Nagerkoil) and worshiped Serpent god. During 1516 to 1535, Boothala veera Sree Veera Udhaya Marthanda Verma was ruling this area with head quarters as Kalakkaadu. He was suffering from Leprosy. He came to this temple every Sunday and he got cured. From then on, every Sunday, this temple is crowded with devotees. Even today, the main priests of this temple is from the “ Paambummekaatu Illam” family of Nambuthiris from Kerala, who worship Nagaraja, generation after generation. They even rear Snakes like Infants. Another attraction of Nagerkoil is the Nagalinga flower of the Cannon-ball tree (Couripita gynensis). The combination of its 6 petals, fleshy disk, stamen, and the reduced styles are so marvelously coinciding with a Shivalingam being protected by a 5 hooded Nagaraja. Behind the Sanctum sanctorum, there was a dense growth of a herb ( Oda valli). Recently temple officials removed them, as they found lots of snakes were living there. After that, they tried to regrow the herb. Till date it hasn’t grown again. Earlier every devotee was given 1 leaflet of this herb as Prasadam. Every leaf had different taste it seems. Latest Science has discovered that the venom of Cobra can be used as a medicine to Leprosy! What was believed earlier by our ancestors are now been proved as science by modern science. Lots of Cobras are there near the temple area. Wiith in 1 mile area from the temple, there s no history of any1 being killed by the venom of a snake bite.Page 48, Volume 11 of Encyclopedia of Religion & Ethics, published in the U.S , has taken note of this point. Inside the temple, we get to see lot of Jain inscriptions, including Mahaveer Jain & Parasvanath – the 23rd Thirthankara. In 1968, when they were cleaning the temple pond, they found a Durga idol and it has been installed on the right side of the temple. The Devi is like Vishnu Durga. We have deities for Lord Muruga & Idumban. So Kandha Sashti is also a main day of worship here. In mid 18th Century, King Marthanda Verma of Venad kingdom ( South Travancore) had lot of enemies. One day he was taking rest in the South side building of the temple. Knowing this, his enemy went up to kill him. His sword missed target as he was interfered by a cobra in between. The king woke up in the meantime and caught his enemy. From then on, the South Nada ( South Entrance) is called as Maha Meru Maaligai. Once upon a time, a pair of Snakes lived in this place. Mahibalan killed them. During death they were listening to the chanting of Parasvanath. By virtue of that, they got rebirth as the King and Queen of Snakes in the underworld. 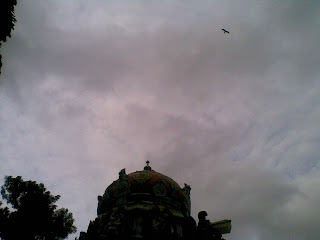 Later , a Gandharvan named Samwaran was travelling across the sky. He was disturbed by the chanting of Parasvanath. So he made heavy rain fall to submerge him. The king cobra ( Dharnendra) raised its hood over Parasvanath and protected his tapas from the rain. As rain continued, water level raised. 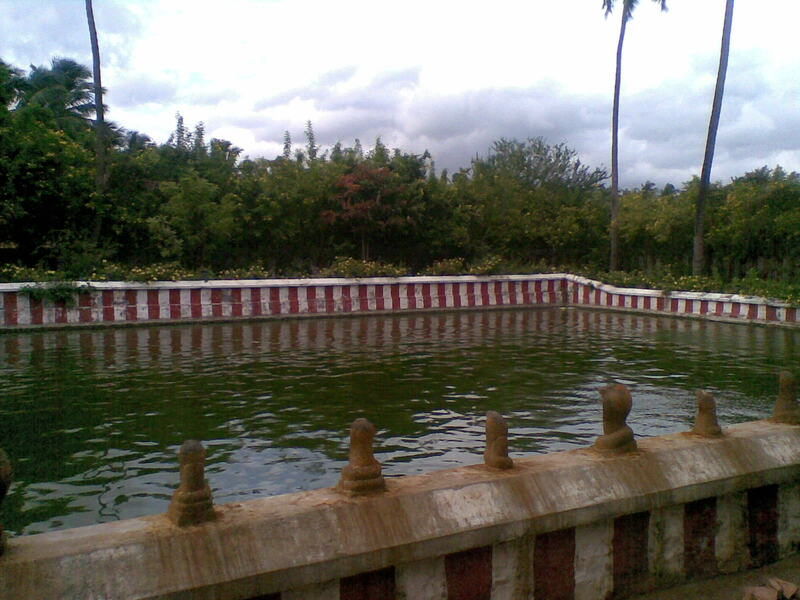 To prevent Parasvanath from sinking, the Queen Cobra ( Padmavathy) became a Lotus flower and gave seat to Parasvanath. Samwaran couldn’t succeed in his effort. We get to see 2 huge snake statues in the temple, depicting this story. When the temple was first constructed Nagaraja told in the dream of the king of Kalakkadu that his roof should be only a thatched roof. So the Western side roof is still a thatched roof. Every year, when they remake the roof, they see a snake in it. The main diety in the sanctum sanctorum is installed on water. Water keeps oozing slowly and the sand from this basement is given as Prasadam to devotees. 6 months the sand will be black and for next 6 months, it will be normal sand. For centuries together, they are taking up sand as prasadam and giving to devotees. But there is no crater created in that spot from where sand is being continuously taken as prasadam . The level of the basement of the sanctum sanctorum is remaining the same. This is still a grerat puzzle and miracle. There is neither any Peetam nor any roof for this sanctum sanctorum. During the 8th century, this area was referred as Kottar only. Thirugnansamndar has mentioned about Kottar being a main centre for Jains during his period. Till the 16th Century mid, this was a Jain temple only. There are 2 huge 6 feet high snake statues in the temple. Scholars have done research of the same and declared that male snake will be carved smaller in size and female snake is generally carved bigger in size. Seeing the southside snake, they confirm that the main diety here is Nagarani only. Looking at the inscriptions of Jains, its mentioned as “ for Nagar and Nagarajar”. Its inferred that Nagar means Queen Cobra. 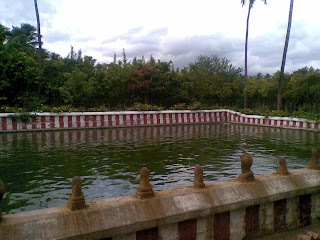 The place Nagerkoil also has got its name from Nagar ( Nagarani ). Till 1589 (Kollam era 764), the diety on the left is named as Nagarajar. Between 1589 to 1644, it was named as Thiru Anantha Aalwaar. From 1644AD, its named as Anantha Krishnan. None of the inscriptions have any mention of a Krishnan deity here. Even the dwajasthambam ( flagmast) has Koormam on its top, as seen in Mahameru. Since its not Garudan on the flagmast, its told that the deity is not Krishnan and its only Nagarajan. So the main sanctum sanctorum deity – the 5 hooded Cobra is Nagarani only. The Ananthakrishnan is actually Nagarajan. In between these 2 deities we see a beautiful Shiva lingam deity. Here Lord Shiva is in the form of Vaayu ( Air ). During the 7th, 8th Century, Jainism was spread across Kanyakumari district and in the Kongu area ( Coimbatore, Erode belt). Right from those days, in the Tamil month of Aavani ( Aug – sep ), devotees used to come to this Kottar ( Nagerkoil ) to worship Nagar & Nagarajan. The 60 feet snake inscription in the Thiruchengode hills, Jain temples in Perundurai, Vijayamangalam, Vellode, Thirumoorthimalai, all in Erode district shows the penetration of Jainsm in Kongu area. Even in Kongu area, worship of Nagar is famous even now. People from Kongu area have taken active role in constructing parts of this temple in Nagerkoil. 1.Annual function : 10 days in the Tamil month of Thai ( mid Jan), Thai Poosam. People who travel towards Kanyakumari may have a darshan at this cute little temple. OM NAMAH SHIVAYA ! OM NAMO NARAYANAYA ! My goodness.!! !very Important valuable information's.!! !hats off to u...! very nice tepmle which i visited in 2011.